Kitchen : With a sandpaper and some paint, she gives a second life to this table. 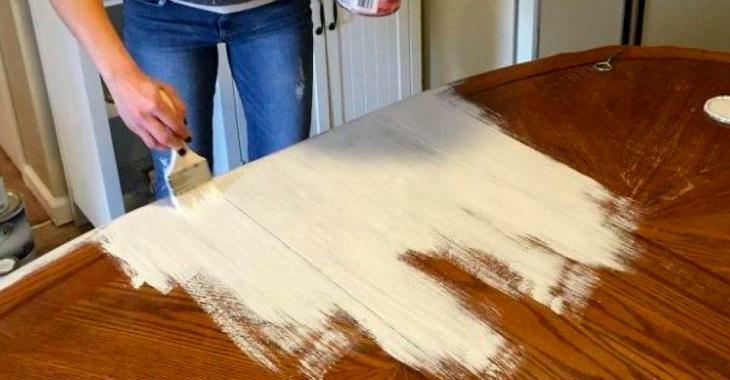 With a sandpaper and some paint, she gives a second life to this table. Farm tables have never been so trendy than now! Here is a method to modify any wooden table and rustic table in a great way. What's good with this method is that your table does not even need to be made of natural wood. The first thing to do is to sand it to remove imperfections and debris. Then apply an undercoat of primer paint. Once this is dry, start putting the first coats of paint. You can use three different types of paint: A gray color, a light gray color and a white or cream color. It is recommended to apply the dark color first. It is also recommended to add some water to the paint for a better application. Once the first coat is dry, it is necessary to sand and leave the original color of the table appear in some places. Then apply the light gray paint, diluting it again in water. Repeat the same method. Finally, you can apply white or cream colored paint. Allow to dry and sand again. Then take a towel to wipe off any imperfections. Make sure the table is not too shiny/clean to keep this rustic side. You can also use other colors to give a different look. The important thing is that you like it!